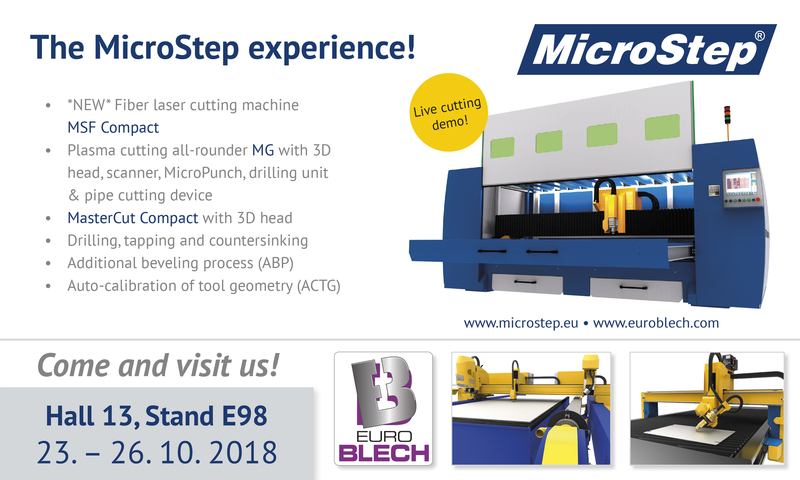 At EuroBLECH 2018 we will present four machines featuring both plasma and fiber laser cutting technologies and showcase the wide possibilities available to our customers depending on their needs and demonstrating the steady rate of innovations happening in MicroStep on a daily basis. One of the machines presented will be the brand new MSF Compact, a precise and space-saving fiber laser solution. 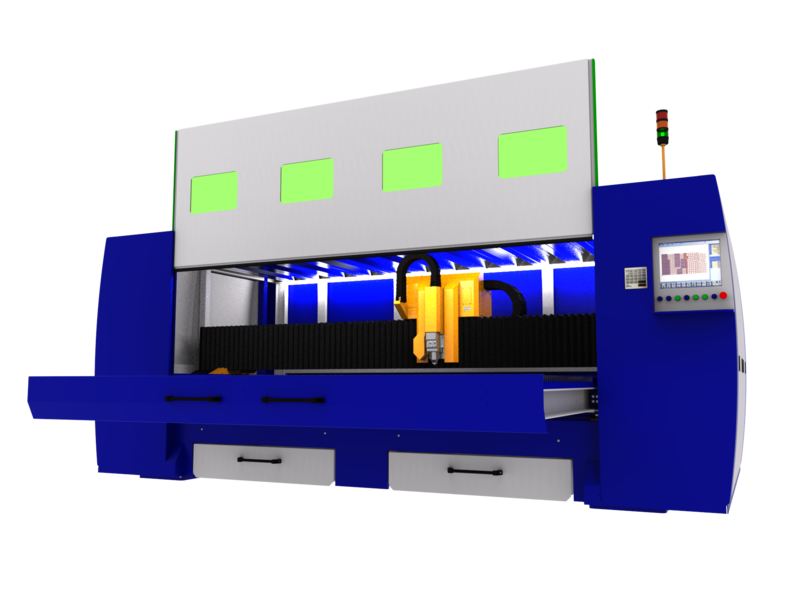 It will be presented together with a state-of-the-art plasma bevel cutting machine MG featuring a variety of machining options. From compact laser to a plasma all-rounder, the amount of different possibilities which MicroStep will present at the fair in Hannover is huge. Between 23rd and 26th October visitors will be able to experience live cutting demonstrations on 4 different machines. A brand new member of the MSF series debuts at the fair – MSF Compact – which is a cost-effective yet high-quality fiber laser cutting solution. The MSF Compact comes as a plug-and-produce concept with setup, commissioning and training to be done within just one week. The standalone CNC machine saves space in production and is available in table sizes from 1.000 x 2.000 mm up to 1.500 mm x 3.000 mm and can be equipped with fiber laser sources from 1 to 4 kW. “Space is a precious resource in today's manufacturing sector. With this new product we are taking the successful concept of MasterCut Compact plasma cutting system to the fiber laser and offering customers a precise, fast and economical system,” says Alexander Varga, founder and Chief of R&D in MicroStep. MSF Compact will be equipped with the latest Thermacut cutting head EX-TRABEAM ®PRO with low-drift control for best cutting results as well as seal monitoring Smart Protection which protects the optical components of the head. You can find MSF Compact in MicroStep's booth E98 in Hall 13. There, visitors will be also able to witness a latest generation MG machine: a plasma bevel cutting all-rounder for processing of sheets, tubes and hollow sections. Displayed MG will perform a variety of processes live: cutting, drilling, countersinking, tapping, micro-percussion marking and ABP – additional beveling process. The machine on display at EuroBLECH will feature a plasma rotator enabling bevel cutting up to 50° with the patented ACTG® calibration process as well as a laser scanner. 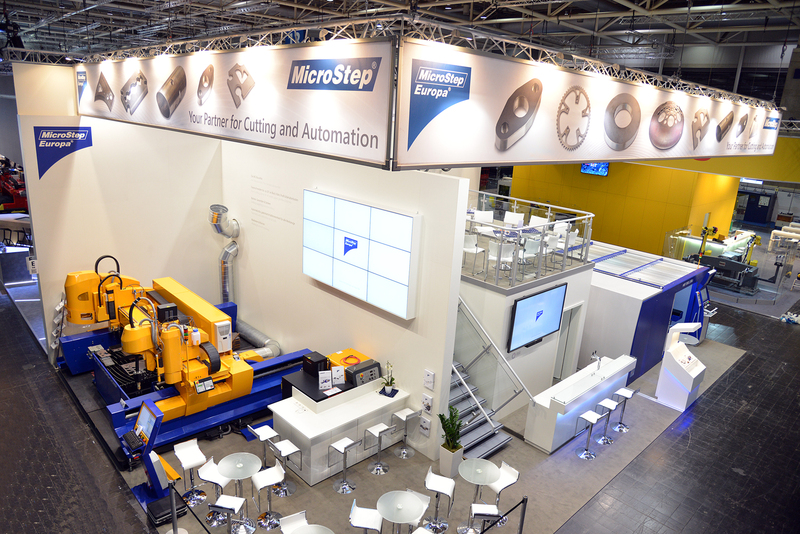 Apart from machines at the MicroStep stand, two other cutting edge solutions can be experienced at the stands of our partners. Kjellberg Finsterwalde (Hall 13, Booth B98) will be presenting the latest generation of MasterCut machine equipped with one plasma bevel head and one plasma straight head showcasing two latest HiFocus plasma power sources from the German plasma source manufacturer. 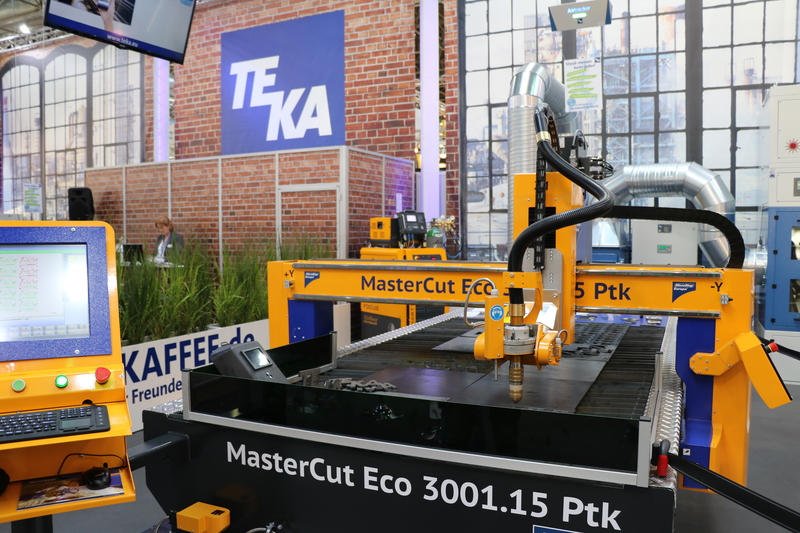 Last but not least, you will be able to experience a high-quality compact cutting machine MasterCut Compact at the stand of the suction specialist TEKA (Hall 13, stand F34). The displayed system will demonstrate the quality and efficiency of MicroStep's suction solution with TEKA units while bevel cutting with plasma up to 45°. “With four machines at EuroBLECH, we will present visitors with the selection of our most efficient solutions suitable both for the smallest metalworkers and large corporations alike,” says Alexander Varga.